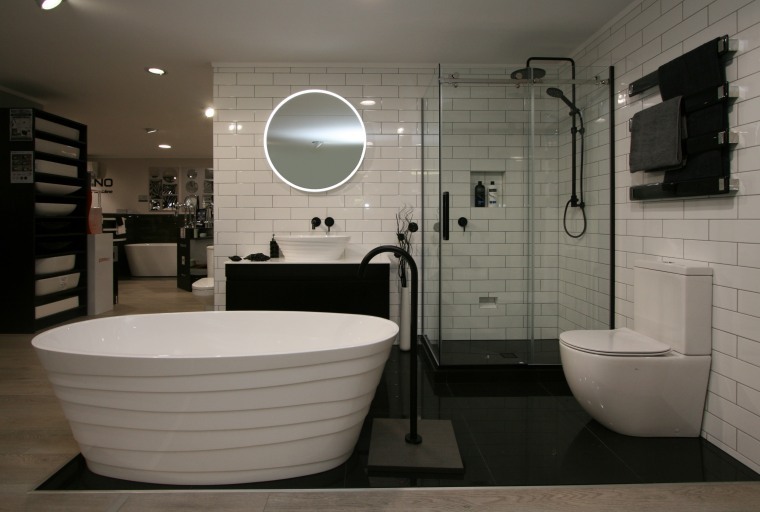 The luxury Elite Quartz Stone range from Elite Bathroomware is matched with the firms sleek Elite shower system and Elite luxury tiled shower in this showroom vignette. Found a bath you like, but now have to wait several weeks for it to arrive in New Zealand? At Elite Bathroomware that's not going to be a problem. The pro-active firm acquires high-end ranges only accessible by ordering in large numbers from overseas. This lets Elite pass the bulk savings on to you, and of course the bath, basin, or matching mirror is already in the country. Whether a range is imported or local, Elite Bathroomware only deals with the best, says director Josh Burkhead. "Our new Elite Quartz Stone Range is a great example. The freestanding baths alone are available in five different colours and six designs. The strong quartz amalgam is polished to precision for a surface that's a pleasure to touch. My favourite is the Idaho. Its grooves imitate the flow of waves, creating shadow lines as part of the look." "We also offer different configurations of our products for instance, some people may like a freestanding vessel with a wall mounted mixer. There are many options." 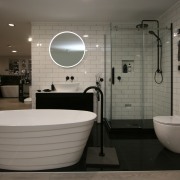 Elite Bathroomware's showroom also has many design vignettes for inspiration, backed up by friendly, knowledgeable staff. Elite also offers a full renovation service.